Amazon.com description: Product Description: Developing successful business-to-business relationships with more powerful customers in highly competitive markets requires processes and skills that go beyond traditional selling activity. The very best state-of-the-art strategies are set out clearly in this book in a practical way that can be implemented in all organizations. * why has key account management become so critical to commercial success? * what are the key challenges and how do successful companies respond? * why is it vital to understand the role of key account management in strategic planning? * do you know what strategy your customer has for your company? By addressing these key questions McDonald, Rogers and Woodburn draw out the business issues that really matter - from developing a customer classification system that really works, analysing the needs of key accounts, developing the skills of key account managers to how systems for implementing key account plans can be developed. Throughout the book the emphasis is on clarifying and articulating the key concepts to give the reader the tools to apply in the marketplace. The 'real world' approach is based on best practice from leading companies globally and the latest research from the renowned Cranfield School of Management. 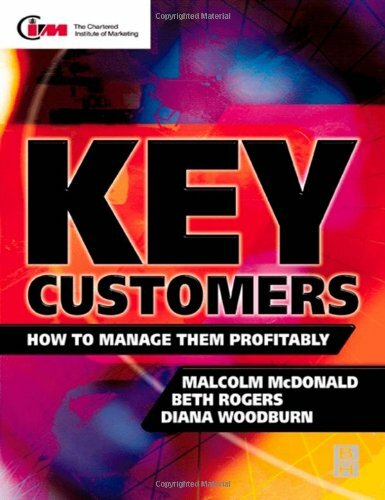 'Key Customers' comes from authors with an international reputation in this field and is an essential guide to customer management for marketing and sales executives, and all senior management with strategic responsibility. The clear and authoritative approach also makes it an outstanding text for the serious MBA and executive student.